The ERA 100 Patio Door Lock can be fitted to most types of metal, wood and uPVC patio doors including those that slide on the inside or outside track. Simply press the spring bolt to lock - the key is only required to unlock. All fixing screws are concealed when locked. The hardened steel bolt resists hacksawing. 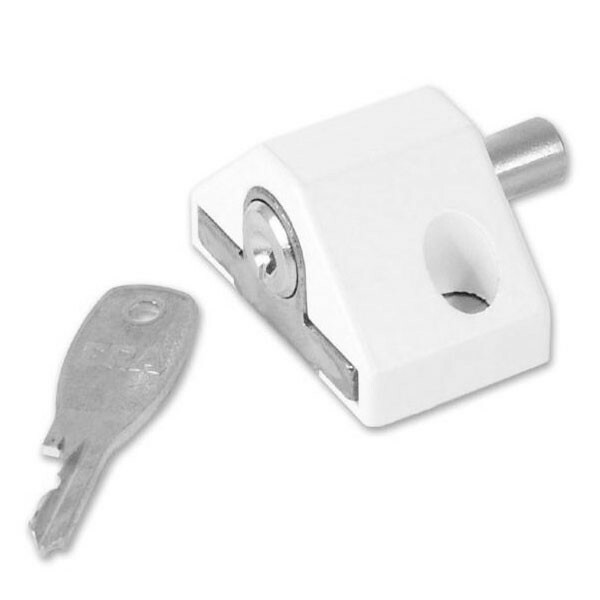 Patio Door Locks are supplied with a ferrule to finish the drilled door frame.